Wood surrounds us in everyday infrastructure and furnishings. Despite this, people generally give little thought to how the wood was made safe for its final destination. Wood was once a part of a plant and is made of a complex cellular structure. As is the case with cells, the wood can readily absorb and retain moisture. Treatment of wood and wood products may involve drying or humidifying in order to achieve the desired moisture content for the wood. Too little moisture can reduce resiliency and flexibility of the wood, which results in cracking. However, too much moisture can make wood prone to decay and softening. Both of these deficiencies lead to wood being unstable, resulting in products of reduced lifespan and quality. Once wood is heat or humidity treated, a type of sealant such as paint, varnish, oil, or stain may be applied. Too much moisture prior to sealing can cause damage to the treatment. Further, if the wood is unsealed, moisture can creep in overtime and compromise the stability (wood strength, flexibility, durability, quality) and lifespan of the wooden structure. Moisture content is most important during processing, but is also relevant postproduction if further wood treatment is needed. For example, if wood is received in a dried condition but the ambient moisture is 15%, this could cause the moisture to exceed 20%. Excess moisture results in paint bubbling and peeling as well as discoloration. Finishes on the wood can influence the amount of moisture transmitted into the wood during its working life. Water-based finishes and porous finishes such as paint are more permeable and do not repel water and moisture as effectively as moisture repellent finishes such as a film- forming finish. Finish choice can be influenced by the moisture retention of the wood. A wood fabrication company contacted Hanna Instruments to find a solution to an issue they were experiencing with their new finish. The company was starting to shift into more eco-friendly practices and had changed to a water-based varnish. While the benefits of the new varnish were substantial, they were having issues with the glossiness of the finish. Instead of a high-gloss varnish, it was coming out duller compared to the samples from the varnish manufacturer. The wood fabrication company wanted to measure the moisture content of the wood before and after treatment to determine if they needed to change their drying and storage practices for the wood in order to maintain the proper finish.Hanna Instruments recommended the HI903 Karl Fischer Volumetric Titrator for accurate determination of moisture in the wood. The HI903 can measure up to 100% moisture, accommodating the entire range of products that the customer wanted to test. Due to wood’s cell structure, an external extraction was suggested to release the water over the course of several hours. An external extraction removes moisture from the wood using a non-aqueous solvent. The titration is performed on the extract once all of the moisture in the wood is extracted. The customer appreciated the titrant recordkeeping and titrant database capability of the titrator, as they would have to use different titrants depending on the sample material. The customer valued that the titrations would take much less time than determining moisture by loss on drying. The HI903 provided a precise and complete solution to their moisture content measuring requirements. Calcium Chloride in Canned Vegetables. While the heat and pressure used during canning extends the shelf life of foods, manufacturers may still add preservatives like sulphites and calcium chloride to further increase longevity, retain freshness, and improve texture. Calcium chloride (CaCl ) is used in a wide variety of food products including cheese, tofu, and sports drinks because of its effectiveness as an anti-caking agent, stabiliser, and thickener. Calcium chloride can be used to adjust for mineral deficiencies during the cheese making process or even during beer brewing. Canned vegetable and pickle manufacturers often use calcium chloride as a substitute for sodium chloride in their brines to lower sodium content but still provide the salty flavour and antimicrobial benefits of salt. A canned foods manufacturer contacted Hanna Instruments interested in testing the calcium chloride content of their canned tomatoes. Their goal was to meet the regulations of 0.4% CaCl (FDA, US) and comply with their internal quality ₂ control standards. The customer already had a production laboratory established to test for other parameters, so their primary concern was obtaining a meter with high accuracy and repeatability. Hanna suggested the HI902 Automatic Titration System with an HI4104 Combination Calcium Ion Selective Electrode for complexometric determination of calcium with EDTA. The 40,000 step piston-driven pump delivered precise titrant doses into their tomato samples, yielding better results than with a manual titration. The fast titration time ensured they met their production deadlines and allowed them to do more frequent testing for better quality control. The HI902 can store up to 100 methods, enabling the operator to create and optimise various titration methods to suit specific sample types. The customer appreciated this, as they produced other tomato-based foods which also required analysis. Overall, the HI902 gave the manufacturer an accurate, reliable means of measuring calcium chloride in their products allowing them comply with governmental standards and produce a consistent, high quality product. Measuring the pH of Shampoo. Shampoo, or more accurately the concept of shampoo, has existed since the time of the first ancient civilizations. Among centuries of adaptation and development, the act of cleansing hair has changed quite dramatically; at first, a combination of oils, herbs, and perfumes were used as a way to simply freshen hair. Upon further understanding of hygienic health, soap was included in the combination to physically clean the hair. As the science behind hair care progressed, manufacturers synthesized chemical additives for use in shampoo as fragrance, foaming agents, and coloured dyes. Shampoo is now created and structured towards various hair types, as well as to achieve a certain end result, such as the reduction of dandruff. Both the synthetic and natural ingredients used in a shampoo dictate the pH of that particular product. The pH of a shampoo will alter the natural pH of skin and hair, which ideally falls between pH 3 and 5 and pH 4 and 5, respectively, thereby affecting their physical and chemical makeup. The human scalp contains sebaceous glands which secrete sebum, a semiliquid substance composed of glycerides, waxes, and fatty acids. Sebum coats the outer layer of hair, called the cuticle, to prevent loss of water. The presence of sebum helps to maintain soft and flexible hair, as well as prevent the growth of bacteria and the spread of fungal infections on the scalp. However, due to its chemical makeup, sebum also attracts dirt. Shampoo is composed primarily of cleaning agents, such as detergents, that work to remove dirt and excess sebum, leaving a light layer of sebum on the scalp. A detergent molecule is composed of both nonpolar and polar portions, permitting oil and grease to be stripped from the scalp and hair by the nonpolar portion and washed away with water by the polar component; upon reaction with water, detergent molecules tend to produce alkaline solutions. Hair is composed of long, parallel chains of amino acids that are connected by forces such as hydrogen and disulphide bonds and salt bridges between acid and base groups. Environments that are either too alkaline or too acidic can affect and, at some levels, break these bonds. At pH levels between pH 1 and 2, both hydrogen bonds and salt bridges are broken. At slightly alkaline levels, closer to a pH of 8.5, some of the disulphide bonds are broken; with repeated washes at this pH, disulphide bonds will continue to break and result in “split ends.” Finally, at a pH near 12, all three types of bonds are broken and the hair dissolves. Ideally, shampoo should be “pH-balanced,” meaning that it would have a similar pH to that of hair to omit any negative effects on the scalp or hair due to pH variations. Some hair care companies produce pH-balanced shampoo, either with synthetic and/or natural components. A company that produced all-natural skin and hair care products was in need of a new pH electrode to spot test their pH-balanced shampoos. Hanna Instruments recommended the HI1053 pH Electrode for Fats and Creams. The HI1053 provides a fast response time in the viscous sample due to the increased flow rate from outer reference that has a triple ceramic junction. A standard single ceramic junction in the outer reference has a flow rate of 15-20 μL/hour while the triple ceramic has a flow rate of 40-50 μL/hour. The HI1053 electrodes are available with different connection types. To the customer’s appreciation, they were able to use their new Hanna HI1053B pH electrode with a competitor pH meter, as it was equipped with the universal BNC connection. Since the major components of their shampoo consisted of natural materials, including coconut-based derivatives, the Hanna Sales Representative also supplied the customer with the HI7077 Cleaning Solution for Oils and Fats for occasional cleaning procedures to maintain a good working condition. Overall, the customer was more than satisfied with the technical assistance from Hanna Instruments in finding the best pH electrode for their application. Measuring Dissolved Oxygen of Hydroponic Nutrient Solutions. In hydroponic growing systems, plants are grown in a soilless environment and receive all essential nutrients from a nutrient solution. These nutrient solutions are closely monitored for pH, EC/TDS, and specific nutrient concentrations; however, one parameter that is often overlooked is oxygen. Oxygen is essential for the development of a healthy root system, both for aerobic respiration of the roots and to support a community of beneficial aerobic bacteria in the root zone. Insufficient oxygen levels in the root zone will cause less developed roots, limited nutrient absorption, and an increased population of undesirable bacteria and fungi, all of which result in plant stress.  and drip or passive irrigation systems, where the plant roots grow in an inert media such as cocoa peat, rock wool, or perlite, and nutrient solution slowly drips through. In systems where the roots are submerged, aeration of the nutrient solution is essential to ensure healthy root development. Dissolved oxygen (DO) levels of 5 mg/L and above are recommended, as levels below this are detrimental and possibly fatal to plants. However, a DO concentration of 5 mg/L is difficult to maintain in greenhouse environments. As the temperature of water increases, the solubility of oxygen decreases. The elevated temperatures in greenhouses result in low DO solubility, as well as higher root respiration and oxygen consumption. DO concentrations greater than 5 mg/L can be maintained by aeration. Aeration can be achieved by the use of air pumps and oxygen diffusers, additions of chemicals such as hydrogen peroxide or ozone, or physically by rapid mixing. A nursery contacted Hanna Instruments for a way to monitor dissolved oxygen in their irrigation water. The nursery was utilising a combination of both soil-based growing methods and passive irrigation hydroponic systems, and wanted a way to measure DO in their reservoir tank as well as their hydroponic nutrient solution at various points throughout the greenhouse. The customer was supersaturating their irrigation water to 10 mg/L DO with an air pump and air stone. This was to ensure that levels would be maintained at 5 mg/L or above once the nutrients were added and the nutrient solution was trickled through the greenhouse. Hanna offered the HI2004 edge®DO Meter. The HI2004 edge®DO measures dissolved oxygen from 0.00 to 45.00 mg/L with 0.01 mg/L resolution and high accuracy of ±1.5% of reading ±1 digit. The slim, 12 mm diameter HI764080 polarographic DO probe allowed the customer to take in situ DO measurements of their nutrient solution throughout the greenhouse. The temperature component on the DO sensor allows for automatic temperature compensation to DO measurements, resulting in more accurate readings. Altitude and salinity compensation can also be enabled by simply entering both the barometric pressure and salinity into the meter menu. The customer appreciated that the preformed DO membranes made refreshing the electrolyte and membrane replacement extremely easy. The included wall mount cradle allowed the customer to keep their DO probe in their storage reservoir for real-time DO measurements. The built-in battery and tablet design of edge®DO offered the portability the customer needed for taking measurements around the greenhouse. Overall, the HI2004 edge®DO was a perfect fit for the nursery’s DO testing needs. Measuring COD in Olive Oil Manufacturing Wastewater. The olive tree, Olea europaea is a species of small tree native to and naturalised in many locations around the world, such as the Mediterranean Basin and France. The tree bears the olive fruit, which can be consumed whole or used in the making of olive oil. Olive oil is the only commercially significant vegetable oil that is extracted from fruit rather than from seeds. Vegetable oils extracted from seeds, such as sunflower and canola oil, undergo significant processing to remove industrial solvents used during oil extraction, as well as compounds naturally present in most vegetable seeds that would otherwise result in unpleasant tastes and odours. Due to high levels of water in olives, olive oil can be extracted from the fruit by simpler, mechanical based methods, such as centrifugation or pressing; these methods produce a more flavorful and less processed product. Like most industries, olive oil manufacturing produces waste from unusable materials of both fruit and tree. The olive oil extraction process yields only 20% usable olive oil; the remaining 80% of byproducts consist of a semisolid waste (30%) and aqueous liquor (50%). The aqueous liquor, known as olive mill wastewater (OMWW), consists mostly of water from the vegetation and soft tissues of the olive fruits, as well as from usage in various stages of oil production, such as olive washing water. The OMWW may also contain upwards of 18% organic-based compounds. This high level of organic matter results in a polluting load 25 to 80 times greater than that of domestic sewage. To mitigate an overload into the municipal wastewater treatment plant from large levels of organic matter and other potential interferences, such as an acidic pH, OMWW requires pretreatment prior to discharge into the wastewater collection system. Pretreatment is monitored through the measurement of organic matter in the discharged wastewater, or effluent. Biological oxygen demand (BOD) or chemical oxygen demand (COD) are both useful measurements in quantifying organic matter in water, but due to its faster turnaround time, COD is becoming more commonly measured during wastewater treatment. In olive oil manufacturing, the maximum COD concentrations of untreated OMWW can reach values up to 220,000 mg/L. An olive mill was looking to update from BOD to COD methodology to characterise their wastewater influent and effluent. Hanna Instruments recommended the HI83399 COD Meter and Multiparameter Photometer and HI839800 COD Reactor. As one of the most versatile photometers on the market, the HI83399 can measure 60 of the most important water quality parameters, in addition to COD.The meter can be connected to a PC to manage data using a USB cable. Equipped with a powerful interactive user support system, the user can enable the tutorial mode to guide them through each step of the analysis process. The HI83399 encompasses a broad spectrum of COD levels, from 0 to 150 mg/L for low range, 0 to 1500 mg/L for medium range, and 0 to 15000 mg/L for high range. The customer was also supplied with the NIST traceable, range-specific COD reagents, developed in accordance with Standard Methods 5220D, USEPA 410.4, and ISO 15705:2002. The reagents come ready made in pre-dosed vials, requiring only a simple addition of deionized water for the blank measurement, and wastewater for the sample measurement. Furthermore, due to the hazardous nature of some of the reagent components, such as dichromate and strong acids, the customer appreciated the ready to use reagents that eliminated the need to handle them directly. Overall, the customer was more than happy with their experience with Hanna Instruments. Monitoring Water Filtration at a Brewery. Although consumers focus on the flavour and alcohol content in beers, brewers know that the vast majority of their product is water. Water is what makes many of the wellknown beers of the world so unique. For example, the Pilsen region of the Czech Republic is known for producing the pilsner, a pale golden lager with a crisp hoppy flavour. This style of beer was easy to produce because the low alkalinity of the Pilsen water required very little malt to bring the pH into the ideal range for brewing. This contrasts with the water commonly found in Dublin, which has a much higher alkalinity and therefore requires darker malts to lower the pH to the ideal range for brewing. This made Ireland an ideal place to brew porters, stouts, and other dark beers. Traditional brewers understood the influence of source water qualitatively without an understanding of pH or water chemistry. Since then, our understanding of brewing chemistry has expanded. We now know that darker malts are more acidic and will change the pH more dramatically than lighter malts. This requires adjustments to the brewing recipe or adjustments to the source water to ensure that beers turn out exactly as anticipated. As a result, homebrewers and professionals alike place source water chemistry as a high priority. Knowing water chemistry goes beyond just alkalinity and pH. Many brewers get their water from a municipal source, which means that chlorine is usually present in their source water. Chlorine in the brewing process can cause off flavours and slow fermentation, even at the typical low levels of 0.5 mg/L concentrations in tap water. Due to the amount of variables in the source water, brewers tend to turn to reverse osmosis (RO) systems to remove chlorine and reduce the mineral content of the water by at least 90%. Reverse osmosis are a type of affordable filtration where water passes through a semipermeable membrane (typically active carbon) to remove ions, molecules, and larger particles from drinking water. This has the benefit of offering full. control of the brewing water; brewers can simply add in any minerals they want in the beer and leave the rest out. By adjusting the water chemistry, a pilsner may be made in the Czech style without having water delivered from Pilsen. A craft brewery contacted Hanna Instruments to inquire about a water quality solution for their treated water that they use for brewing. It was important that they tested the water coming out of the RO filtration system to verify that it is working effectively. The sales representative suggested edge, Hanna’s multiparameter tablet-style pH/EC/DO meter, HI2030. The HI2030 kit comes supplied with the HI763100 four ring conductivity probe. The HI2030 allowed the brewery to measure the total dissolved solids in the RO filtered water to ensure that it removed the minerals content effectively from the tap water. Because edge is multiparameter, the customer was able to add pH and dissolved oxygen measurements by simply purchasing additional electrodes. The customer appreciated that since the HI2030 uses digital electrodes, the GLP and calibration data was stored directly in the probe. This meant they could calibrate for each parameter at the beginning of the day, and switch between probes and parameters without having to recalibrate. The customer was impressed with the large variety of application specific pH electrodes available for purchase with edge. In addition to the HI2030 EC edge kit, they purchased a pH electrode with a clog-proof junction, the HI10480, for pH measurement in their water, must, and finished beer. The low profile of edge was desirable by the customer and it was easy to move the meter to save space when needed. The versatility of the meter brought value and a complete solution for the customer. Measuring the Salt Content of Bread. ects the strength of its gluten structure. Dough with low concentrations of salt is sticky and cannot withstand kneading. A su cient amount of salt will strengthen the gluten structure in dough, permitting better storage of carbon dioxide and therefore, uniform and adequate leavening. Salt also slows leavening by drawing water out of the yeast cells, resulting in softer, tastier bread. In addition to improving leavening, salt also preserves bread by attracting moisture from the air and enhances the favor. For these reasons, most dough recipes suggest 1.8-2.0% salt based on the weight of four. A customer contacted Hanna Instruments looking to determine the salt content of their bread per AOAC International O cial Method of Analysis 926.04 and 971.27. Due to the sampling requirements stated in the AOAC 926.04 Preparation of a Bread Sample, Hanna recommended the HI902C Automatic Potentiometric Titrator. Per AOAC Method 926.04, the customer was instructed to dry a 2 -3 mm thick piece of bread until brittle, grind, and then pass through a No. 20 sieve. Next, the customer followed AOAC Method 971.27 Determination of Sodium Chloride in Low-moisture Sample, blending 50g of bread sample with 450g of deionized water, and then mixing a 50g aliquot with dilute nitric acid. From there, the sample was then titrated against 0.1 M Silver Nitrate solution using the HI4107 Chloride Combination Ion-selective Electrode as the indicating electrode. To the customer’s relief, the HI902C permits user methods to be created and customized based upon the sample matrix and sample preparation, so as opposed to having to manually calculate the dilution, the customer could simply fll in the parameters under the “Dilution Option” feature. The customer also valued that due to the 0.1% accuracy of the dosing system and specific features in the Method Options, such as “Dynamic Dosing” and “Signal Stability,” the titrator produced accurate and quick results; this allowed them to identify production problems in a traceable, e cient manner. Furthermore, the storage capacity of 100 reports and USBtransferable methods and reports provided the customer with extra data management fexibility. Ultimately, the HI902C proved to be a valuable tool for maintaining high standards throughout the bread production process. Analysis of Disinfectant Quaternary Ammonium Salts. Surface acting agents, commonly known as surfactants, are compounds that serve a variety of roles in many applications. One of their primary functions is to reduce tension at the surface or interface between two differing phases or substances. Due to this unique property, a multitude of industries and applications utilize surfactants as detergents, dispersants, and bactericides as well as foaming, wetting, and antistatic agents. Surfactants display these tension-reducing properties because they may contain one or more amphiphilic groups; compounds that possess amphiphilic groups exhibit an affinity for both polar and non polar substances. Surfactants are generally categorized as anionic, nonionic, cationic, and amphoteric. These categories describe the nature by which each compound disassociates in an aqueous solution and which ion, if any, carries the amphiphilic group.Quaternary ammonium salts are a commonly used cationic surfactant. Cationic surfactants contain a positively charged ion, or cation, that carries the amphiphilic group, allowing them to adsorb negatively charged substrates. Quaternary ammonium salts, specifically, are comprised of a quaternary ammonium cation group, commonly known as a quat; the quats are combined with some anion group, typically a chloride or other halide ion. Due to the aforementioned characteristics, these salts frequently serve as the active ingredient in antimicrobial and disinfectant products. A manufacturer of disinfectant wipes was looking to determine the percentage of active ingredients, by weight, in their raw material disinfectant solutions and finished cleaning products. Understanding the quat content of their materials was important for quality control and reporting purposes. As part of the manufacturing process, the wipe product was first soaked in a solution of quaternary ammonium compound, alcohol, and water. The roll of wipe product was then sealed, packaged, and stored. For this application, Hanna Instruments recommended the HI902C Automatic Titration System with the HI4113 Nitrate Combination Ion Selective Electrode (ISE). The nitrate ion selective electrode is approved, along with surfactant electrodes, for the analysis of disinfectant quaternary ammonium compounds per Standard Test Method ASTM D5806. In this method, a cationic compound, such as quaternary ammonium salt, is titrated potentiometrically in an aqueous medium with a standard solution of sodium lauryl sulfate; the nitrate ISE is used as the indicating electrode. A complex is formed between the disinfectant quaternary ammonium compound and sodium lauryl sulfate, which is an anionic surfactant. The complex that is formed then precipitates out of solution and the nitrate ISE responds to the change in potential with a well-defined inflection point. The customer was pleased with the low cost at which Hanna Instruments could accommodate their needs as well as the simplicity of the device when performing the analysis. Because they were beginning to build out their laboratory and quality control area, the manufacturer valued the potential for the titrator to accommodate future methods and the versatility for it to also perform as a benchtop pH meter. Most of all, the customer appreciated the service, support, and commitment received by Hanna Instruments as they developed and implemented new quality control procedures. Measurement of Conductivity in Yogurt. The regular consumption of dairy products provides numerous health benefits, such as strengthening bone health, encouraging proper digestion, and reducing the risk of certain infections. Yogurt is one of the most popular types of dairy products consumed worldwide. Depending on the desired fat content of the finished product, yogurt is produced with milk, cream, or powdered milk products. Any additional ingredients, such as stabilizers or sweeteners, are mixed in with the milk products and heated for pasteurization. For effective pasteurization, the heating process must be performed at temperatures near 93°C (199.4°F) for a time period ranging from 30 seconds to 30 minutes. Due to the differences in fat content of milk and cream, the ingredients will naturally separate after the pasteurization process; to prevent this, the mixture is homogenized. Homogenization involves destroying the fat globules by crushing them, allowing even distribution of the fat particles so the two liquid phases merge. The next step in yogurt production is fermentation; this occurs in designated tanks that are heated to 45°C (113°F). It is during the fermentation stage that live bacteria are added to the mixture, namely Streptococcus thermophilus and Lactobacillus bulgaricus. These bacteria convert the sugar naturally present in the milk, as well as any present from added sweeteners, into lactic acid. The lactic acid is responsible for the thickening of the yogurt, as well as the tart flavor. The length of the fermentation stage is generally between 6 and 20 hours, but ultimately depends on the type of yogurt being produced. Electrolytic conductivity, commonly abbreviated as EC, is the measurement of a substances ability to carry an electrical current. Dissolved salts are the main contributors to a solution’s conductivity. During fermentation, the production of lactic acid converts colloidal calcium and magnesium into their ionic forms. The calcium and magnesium ions are able to carry a current through the fermented yogurt base, thus increasing the EC. By monitoring how EC changes over time, fermentation can be monitored within a batch of yogurt and be used to determine when fermentation has finished; after an initial increase of EC in the beginning of fermentation, the EC stabilizes indicating the end of lactic acid production. A large yogurt manufacturer contacted Hanna about using a portable conductivity meter to help determine when fermentation was complete in their yogurt product. The HI99300 Portable EC/TDS Meter and HI76306 EC/ TDS Probe were offered to fit the customer’s needs. This combination proved to be a great solution, as the HI76306 features a built-in emperature probe for automatic temperature compensation (ATC) from 0 to 60°C (32 to 140°F); as fermentation is performed at 45°C (113°F), the customer felt assured that their EC readings were being appropriately adjusted in terms of temperature. Also of importance to the customer was the ease of cleaning and maintaining the HI76306 probe. As a two-pole EC probe, a simple rinse of purified water was needed for cleaning to provide consistent, reliable readings. The customer also appreciated the ease of a one-point calibration with the HI70031P 1413 µS/cm EC Standard Sachets. The one-time use sachets afforded a portable calibration so the customer could easily perform their calibration on the production floor. The sachets also assured the customer that each calibration was performed using a fresh, accurate solution. Furthermore, it was also necessary that the meter was waterproof; the HI99300 is rated for IP67 conditions, where the “6” indicates a dust tight product and the “7”, immersion in water up to 1 meter. Overall, the yogurt manufacturer was pleased with the ease of use and portability of their EC meter purchased from Hanna. Many foods we eat contain a variety of sweeteners, from natural sweeteners such as honey and molasses to refined sugars like granulated table sugar. In the 1970s, the development of high fructose corn syrup shifted food manufacturers away from using refined sugar in their products. High fructose corn syrup was an attractive alternative due to its less expensive raw materials and ease of handling. Recently, consumers have raised health concerns about the additive, leading to demand for products without high fructose corn syrup. As a result, food and beverage manufacturers have reverted back to using refined sugar in their products, offering them as an alternative to high fructose corn syrup varieties. The sugar refining process begins with either sugar cane or sugar beets. Sugar cane plants store natural sugar in their stalks, which are crushed to extract cane sugar juice. The juice is then clarified to eliminate impurities. The clarified juice is then boiled in a controlled vacuum environment to remove excess moisture, leaving behind a crystallised sugar mass. The sugar mass then undergoes a series of washing, centrifugation and filtration steps. These steps result in raw sugar that is ready for consumption or for further processing into refined sugar. The presence of suspended particles in the sugar juice impacts the efficiency of steps in the refining process. These suspended particles are removed during clarification. In clarification, a combination of lime, activated carbon, and a clarifying agent are added to the sugar juice. The activated carbon removes flavonoids and organic acids naturally present in the sugar juice, which can result in off flavours. The type of clarifying agent used to remove suspended particles can vary based on refinery preferences and whether sugar cane or sugar beets were used. The efectiveness of the clarifcation step is determined by performing turbidity analysis on the sugar juice. Low turbidity indicates sufcient clarifcation and a high quality juice ready for further processing. A sugar refinery contacted Hanna Instruments interested in testing the turbidity of their cane sugar juice during production. The customer reached out to Hanna as they were currently using a Hanna Instruments pH meter for measurement of their cane juice and were happy with its durability and ease of use. The customer wanted a benchtop turbidity meter that was simple to operate yet highly accurate. Additionally, they wanted the ability to log readings in order to track juice turbidity and optimise the use of their clarifiers. Hanna Instruments suggested the HI88713 ISO Benchtop Turbidity Meter. The HI88713 measures in a range of 0 to 1000 FNU with a high accuracy of ±2% of the reading plus stray light. The customer appreciated that the HI88713 came equipped with everything they needed for measurement, including calibration standard cuvettes for up to five-point calibration and six sample cuvettes with caps. The HI88713 features a tutorial mode that guides the user step-bystep through the measurement process, making it extremely simple to use. The customer appreciated the log memory of 200 records for increased traceability. The HI88713 contains an infrared LED light source opposed to a tungsten light bulb. This was better suited for the application, as infrared light sources perform better in samples with coloured matrices like cane sugar juice. Overall, the customer was satisfied with the flexibility of the HI88713 and high level of service provided by Hanna. Like the production of wine, the steps in olive oil processing can vary depending on the desired qualities of the final product. In all cases, processing starts with raw olives. Olives grown for oil production have different flavour profiles and oil content based on the maturity of the olives. Young, green olives typically have strong, bitter flavours but yield less oil compared to mature olives. Mature olives demonstrate mellow flavours and lower antioxidant concentrations than young olives, but yield more oil. When harvesting, it is important to find a balance between flavour and oil yield. A mayonnaise producer contacted Hanna Instruments about measuring pH and total acidity in their final product. For the acidity measurement they wanted to follow AOAC method 935.57 using 0.1M NaOH as the titrant and reporting acidity as acetic acid, the major acid present in vinegar. The customer also wanted to perform multiple analyses in a timely manner. The HI902 Potentiometric Titrator and HI921 Autosampler were suggested for their quality control needs. Hanna Instruments also recommended the FC210B Foodcare pH Electrode for Creams for their testing. The open junction design ensured fast response time, was not subject to reference junction clogging, and was capable of pH measurements in viscous samples like mayonnaise without having to dilute the sample with water. The customer appreciated the ability to take a direct pH measurement without having to prepare a 1:1 slurry, which was time consuming. It was also important to the customer that when they calibrated their electrode, the GLP data could be viewed to ensure a valid calibration. With the HI902, pH calibration may be performed on up to five calibration points, and GLP information could be included in their direct measurement and titration reports for tracking and traceability. Below is an easy to follow chart to help you decide which IP rating / IP Codes you may require for your electrical enclosure. Acidosis is an increased acidity in the blood and other body tissue (i.e. an increased hydrogen ion concentration). If not further qualified, it usually refers to acidity of the blood plasma. Acidosis is said to occur when arterial pH falls below 7.35 (except in the fetus – see below), while its counterpart (alkalosis) occurs at a pH over 7.45. Arterial blood gas analysis and other tests are required to separate the main causes. The term acidemia describes the state of low blood pH, while acidosis is used to describe the processes leading to these states. Nevertheless, the terms are sometimes used interchangeably. The distinction may be relevant where a patient has factors causing both acidosis and alkalosis, wherein the relative severity of both determines whether the result is a high or a low pH. The rate of cellular metabolic activity affects and, at the same time, is affected by the pH of the body fluids. In mammals, the normal pH of arterial blood lies between 7.35 and 7.50 depending on the species (e.g. healthy human-arterial blood pH varies between 7.35 and 7.45). Blood pH values compatible with life in mammals are limited to a pH range between 6.8 and 7.8. Changes in the pH of arterial blood (and therefore the extracellular fluid) outside this range result in irreversible cell damage. environmental requirements and assessment constitute the second level of approval that need to be obtained after a business or industry has been registered. The above information is a general guide towards making the initial steps, decision and planning for the intended business by potential investors and business owners. Investors can obtain further and specific information on “Business in Malaysia” from Business Licensing Electronic Support System (BLESS) Portal (www.bless.gov.my). BLESS provides information and facilities for companies to apply licences or permits to start operating business in Malaysia. [Note: To date, for the initial implementation (Phase 1), BLESS only covers application of business licences for the Manufacturing, Construction and Hotel Sectors and with manufacturing, construction and hotel facilities located within the Klang Valley]. 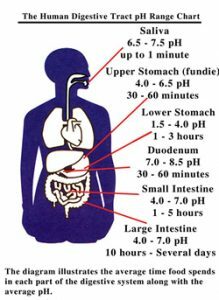 The pH in the human digestive tract varies greatly (see Human Digestive Tract pH Range Chart on the left side). The pH of saliva is usually between 6.5 – 7.5. After we chew and swallow food it then enters the fundic or upper portion of the stomach which has a pH between 4.0 – 6.5. This is where “predigestion” occurs while the lower portion of the stomach is secreting hydrochloric acid (HCI) and pepsin until it reaches a pH between 1.5 – 4.0. After the food mixes with these juices it then enters the duodenum (small intestine) where the pH changes to 7.0 – 8.5. This is where 90% of the absorption of nutrients is taken in by the body while the waste products are passed out through the colon (pH 4.0 – 7.0). If you have a health problem, most likely you are acidic. 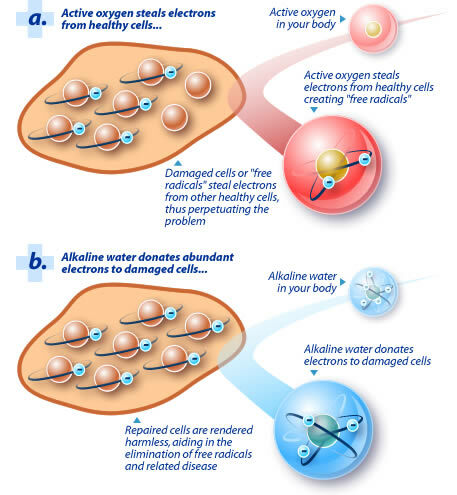 Research shows that unless the body’s pH level is slightly alkaline, the body cannot heal itself. So, no matter what type of modality you choose to use to take care of your health problem, it won’t be as effective until the pH level is up. If your body’s pH is not balanced, you cannot effectively assimilate vitamins, minerals and food supplements. Your body pH affects everything. Total healing of chronic illness only takes place when and if the blood is restored to a normal, slightly alkaline pH. The body has to have a balanced pH like most living things on earth or it does not function correctly. The alkaline level is very important because research has already proven that disease cannot survive in an alkaline state and yet they thrive in an acidic environment. The truth is everyone has different nutrient requirements, but we all share one thing in common – we need to have alkaline blood to stay healthy.An acidic balance will: decrease the body’s ability to absorb minerals and other nutrients, decrease the energy production in the cells, decrease it’s ability to repair damaged cells, decrease it’s ability to detoxify heavy metals, make tumor cells thrive, and make it more susceptible to fatigue and illness. There are two factors that are ALWAYS present with cancer no matter what else may be present. Those two factors are Acid pH and Lack of Oxygen. Can we manipulate those two factors that always have to be present for cancer to develop and by doing so may help reverse the cancer? If so, we need to learn how to manipulate those two factors. Cancer needs an acid and low oxygen environment to survive and flourish within. Terminal cancer patients are around 1000 times more acidic than normal healthy people. The vast majority of terminal cancer patients possess a very low body pH. Why? In the absence of oxygen, glucose undergoes fermentation to lactic acid. This causes the pH of the cell to drop from between 7.3 to 7.2 down to 7 and later to 6.5 in more advanced stages of cancer and in metastases the pH drops to 6.0 and even 5.7 or lower. Our bodies simply can not fight disease if our body pH is not properly balanced. Shown here are four representations chemists use for molecular oxygen. In colored molecular models, oxygen is traditionally shown in red. The normal human cell has a lot of molecular oxygen and a slightly alkaline pH. The cancer cell has an acid pH and lack of oxygen. Cancer cells cannot survive in an oxygen rich environment. At a pH slightly above 7.4 cancer cells become dormant and at pH 8.5 cancer cells will die while healthy cells will live. Again, the higher the pH reading, the more alkaline and oxygen rich the fluid is. Cancer and all diseases hate oxygen / pH balance. The proper alkalinity pH of the blood ( 7.35 – 7.45 ) is critical for the overall health of the body. In other words… alkalize or die. Remember that the pH number is an exponent number of 10; therefore, a small difference in pH translates to a big difference in the number of oxygen or OH-ions. A difference of 1 in a pH value means ten times the difference in the number of OH-ions, a difference of 2 means one hundred times the difference in the number of OH-ions. In other words, blood with a pH value of 7.45 contains 64.9% more oxygen than blood with a pH value of 7.30. Drinking water quality has always been SYABAS’ top priority. Water quality results reported in the year ended 31st December 2011 indicated that SYABAS has continued to meet the high standards set out in the Ministry of Health’s National Standard for Drinking Water Quality and its Quality Assurance Programme (QAP). It also complies with the requirement of the Mandatory Levels of Service specified under the Concession Agreement with the Federal Government and the State Government of Selangor. In 2008, SYABAS has been aggressively implementing the Water Quality Improvement Master Plan and the results have been excellent. The continuous water quality monitoring at 1,100 water sampling stations located at the water treatment plant outlets, balancing reservoir outlets, service reservoirs and distribution mains has shown water quality violations greatly reduced. Consequently, this resulted in the reduction of water quality complaints from consumers compared to the previous years. Of a total of water quality analyses carried out by SYABAS and the Ministry of Health in 2011, 99.47% complied with the National Standard for Drinking Water Quality with zero violation for microbiological parameters. Any non-compliance to the standards is taken seriously and SYABAS conducts a thorough investigation and, where necessary, do everything possible to correct the fault. 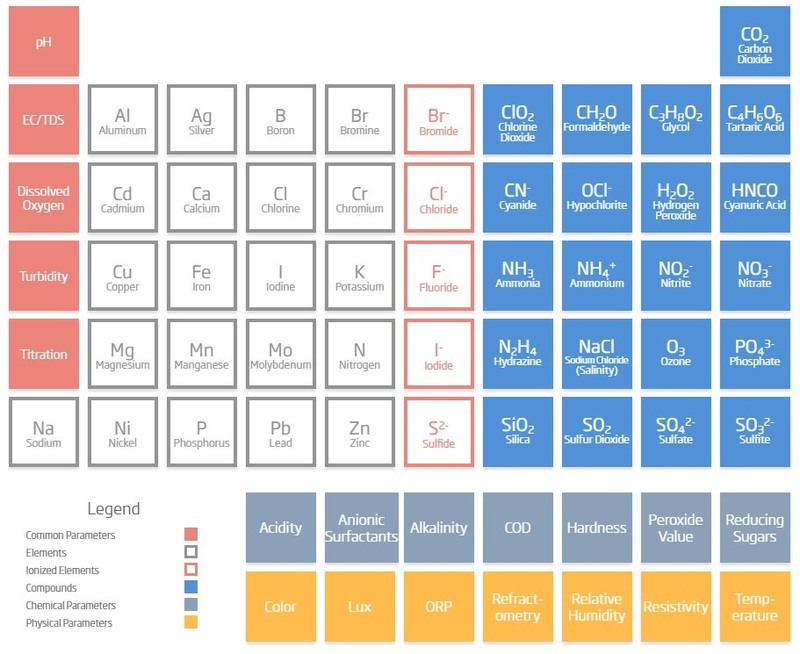 Chemical elements alphabetically listed The elements of the periodic table sorted by name in an alphabetical list. Fertigation is a need for today's irrigation system. 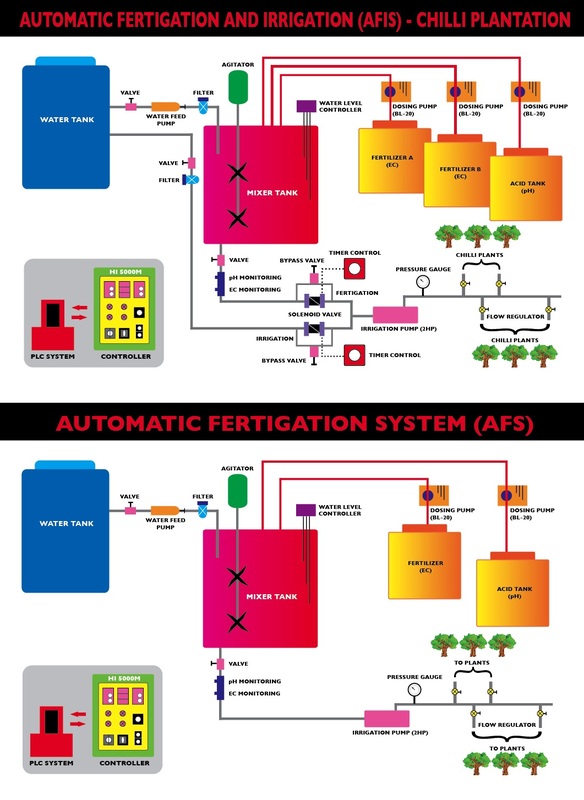 Automatic fertigation is an efficient way to fertilize crops, saving time and money while improving yields eliminating high operational requirements.